Score and Parts. Composed by Heinrich Sutermeister (1910-). Sheet music. Edition Schott. Classical. Score and Parts. 96 pages. Schott Music #ED8987. Published by Schott Music (HL.49008249). 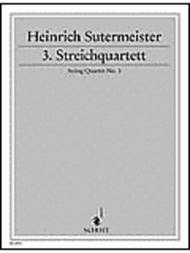 Just like the chamber music pieces by Werner Egk the third string quartet of Swiss composer Heinrich Sutermeister (1910-1995) is an early work now being published for the first time. It was written in 1933 in Munich when he studied composition at the Akademie der Tonkünste under the supervision of Walter Courvoisier who was himself a pupil of Thuille. 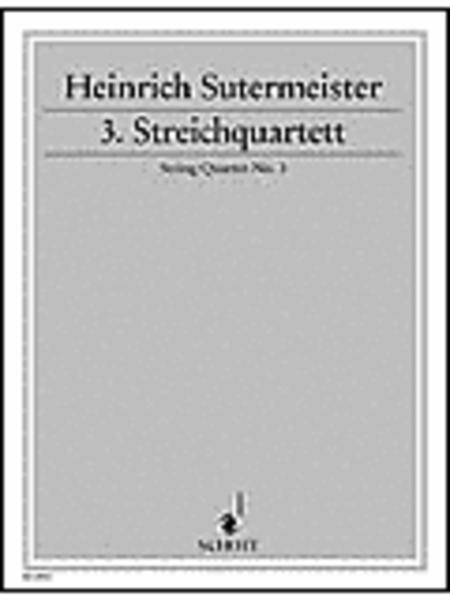 Sutermeister's string quartet shows little sign of any late Romantic idiom, on the contrary, this highly expressive music seems full of youthful impetuosity anxious to engage in a lively debate with contemporary influences.